of Indian classical vocal traditions. After years of rigorous training under Pandit Ulhas Kashalkar, Samarth graduated as Grade A scholar of the ITC Sangeet Research Academy, Kolkata in 2009. Prior to this, he trained under Pt. Dinkar Kaikini in Mumbai. By virtue of this intense and extensive guru-shishya parampara training Samarth’s performance repertoire encompasses styles, ragas and compositions of three prominent gharanas – Gwalior, Agra and Jaipur. Universities such as Stanford, Indiana, UT Southwestern, UPenn and PSU. 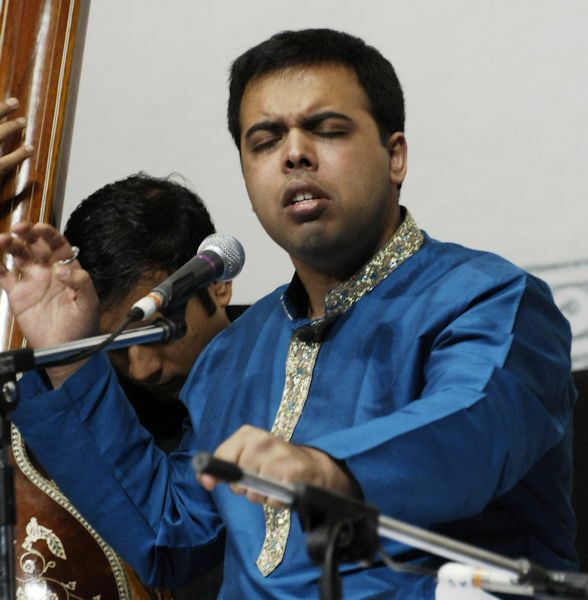 The most notable of the awards and accolades Samarth has received is the President’s Award for 1st prize in the All India Radio National Music Competition, 2000. The Ministry of Culture, Govt. of India awarded him a Fellowship in 2009. A former head of K. K. Kapoor Sangeet Research Academy, Lucknow, Samarth is also known for his articulate and informative lecture-demonstrations and interactive workshops on Indian Music. Currently based in New York Samarth is performing all over North America. He is only the faculty of reputed institutions such as Chhandayan Center for Indian Music. Anjna Swaminathan is a versatile artist in the field of South Indian Carnatic Violin. A disciple of the late violin maestroParur Sri M.S. Gopalakrishnan and Mysore Sri H.K. 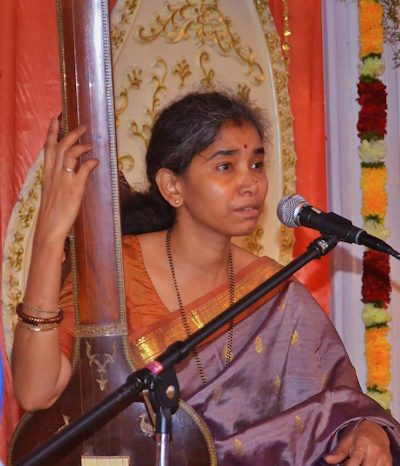 Narasimhamurthy, she performs regularly in Carnatic, Hindustani and creative music settings. In the summer of 2014, Anjna was a participant at the celebrated Banff International Workshop in Jazz and Creative Music in Alberta, Canada, where she worked closely with eminent jazz and creative musicians and led workshops on the fundamentals of Carnatic improvisation and listening. She has since performed with and been encouraged by established musicians in New York's thriving creative music scene including Jen Shyu, Vijay Iyer, Tyshawn Sorey, Amir ElSaffar, Imani Uzuri, Stephan Crump, Graham Haynes, Mat Maneri, Miles Okazaki and others. Anjna is a member of the ensemble RAJAS, led by her sister, percussionist-composer Rajna Swaminathan, which features a rotating collective of Indian classical musicians and jazz/creative musicians, and seeks to explore new improvisational and compositional possibilities stemming from the Indian classical idiom. In 2015, Anjna came under the tutelage of renowned vocalist and scholar, T.M. 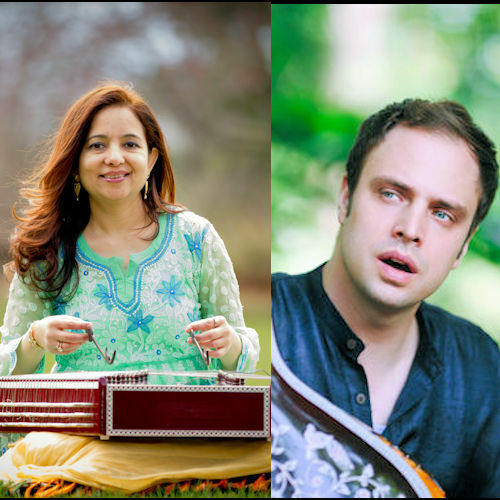 Krishna for her training in Carnatic music, and vocalist Samarth Nagarkar for her training in Hindustani music and accompaniment. She frequently engages with the burgeoning community of Indian classical musicians in New York and New Jersey, and is an active member of the Brooklyn Raga Massive, a growing artist-managed collective of musicians, performers and educators with a firm grounding in raga-based music and a mission to create a diverse, community-oriented artistic practice. As a theatre artist, writer and dramaturg with interests in the intersection of race, class/caste, gender and sexuality, Hindu vedantic philosophy, and the boundaries of postcolonial Indian nationhood, Anjna often engages in artistic work that ties together multiple aesthetic forms towards a critical consciousness. She frequently takes part in interdisciplinary collaborations, often developing scores and providing musical accompaniment for Bharatanatyam (South Indian classical) dancers and dance companies, most notably, Ragamala Dance Company (Minneapolis), Rama Vaidyanathan, Mythily Prakash and Malini Srinivasan. From 2010 to 2017, Anjna performed and toured extensively in the United States and abroad with the acclaimed Minneapolis-based company Ragamala Dance, led by Doris Duke Artists Ranee and Aparna Ramaswamy, in whose projects she had the pleasure of working and performing alongside such artists as Rudresh Mahanthappa, Amir ElSaffar and Rez Abbasi. More recently, Anjna has delved into the realm of composition, and was commissioned (with co-composers Rajna Swaminathan and Sam McCormally) to create an original score for playwright/performer Anu Yadav's one-woman-play Meena's Dream. In her dramaturgical and theatrical work, she has a keen interest in developing new projects that seek to problematize the hierarchies of caste and gender that are inherent in her musical idiom, something that deeply informs her musical practice. 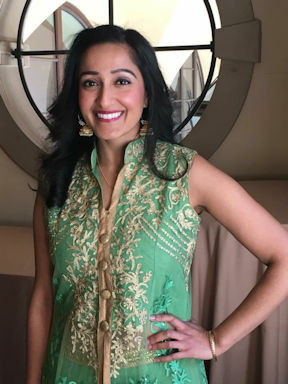 Anjna is co-artistic director of Rhythm Fantasies, Inc. - a non-profit organization that strives to promote South Indian classical music and dance in a space that encourages education and enrichment through innovation and cross-cultural collaboration. 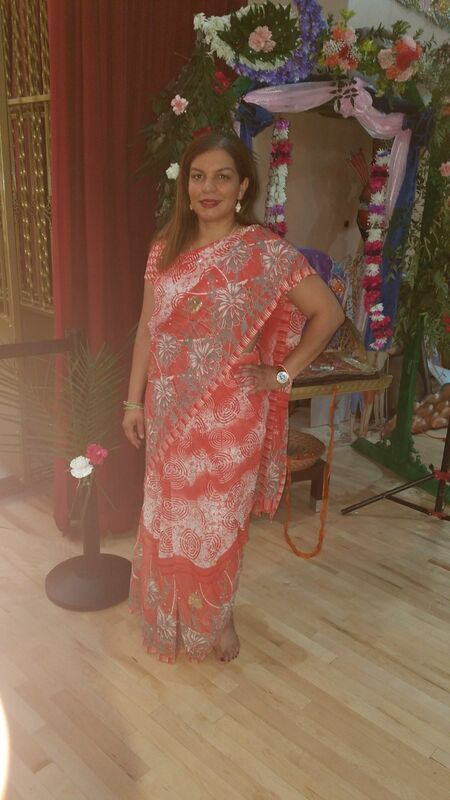 Anjna holds a Bachelors degree in Theatre from the University of Maryland, College Park. Sarangi Maestro Kamal Sabri is the son of Sarangi Legend Ustad Sabri Khan and is carrying forward the rich legacy of the Sania Gharana of Moradabad. 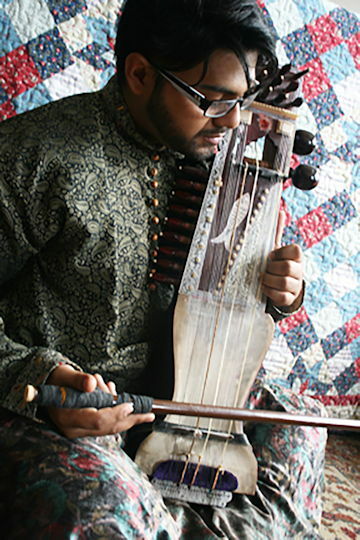 Kamal is the seventh generation of a distinguished family of tradition musicians. He was initiated and trained by his father in the style of the Sania Gharana of Rampur, Moradabad starting at the tender age of 5. Very soon this child prodigy made waves in the musical world with his talent. His musical brilliance and talent as a seasoned accompanist gained immense popularity amongst eminent classical vocalists. Now an "A" Graded Artist of All India Radio, Kamal is a regular performer on All India Radio and Indian National Television. He has appeared in many Radio Sangeet Sammelans and National Programmes of Music. He has won several awards including 'The Best Instrumentalist'(2000), Surmani'(2001), Sangeet Bhushan Award(2002),'The Young Maestro Award' (1999) conferred by the Indo-Sri Lankan Cultural Council and the 'Young Ustad Khitab (Title) (2005) at the Prestigious Harballabh Music Festival. 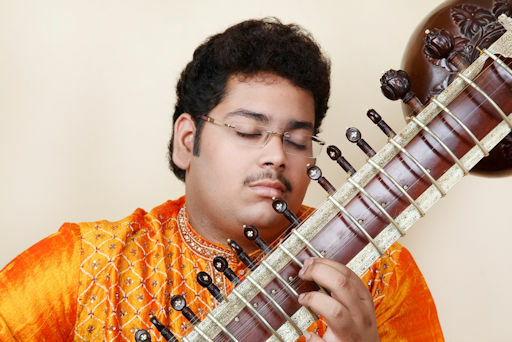 Kamal has many other achievements to his credit, including, the privilege to be the youngest Indian musician to participate in "Les 24 heures du raga" (the 24 hours Millennium concert) in Paris, France. He made a record of sorts in that Festival by playing 9 concerts with the all the vocalists, leaving the audience spellbound. Kamal was invited several times to showcase his musical skills by the BBC, Radio France, Radio Pakistan, Radio Switzerland, Radio Italy, Radio Barbados, Finnish Broadcasting Company, and NRK Norway. Today he is well known in the International cultural scene. 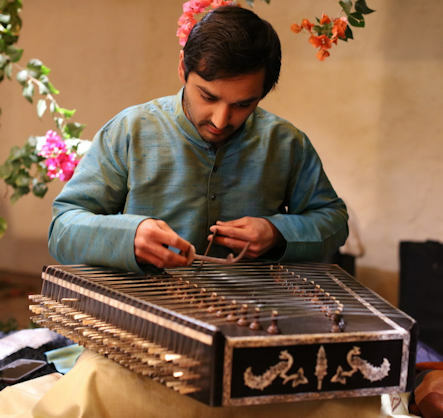 While honing his skills in the traditional style of music, he has also adapted to the changing musical scenario and is constantly trying to set new trends and standards within his tradition. 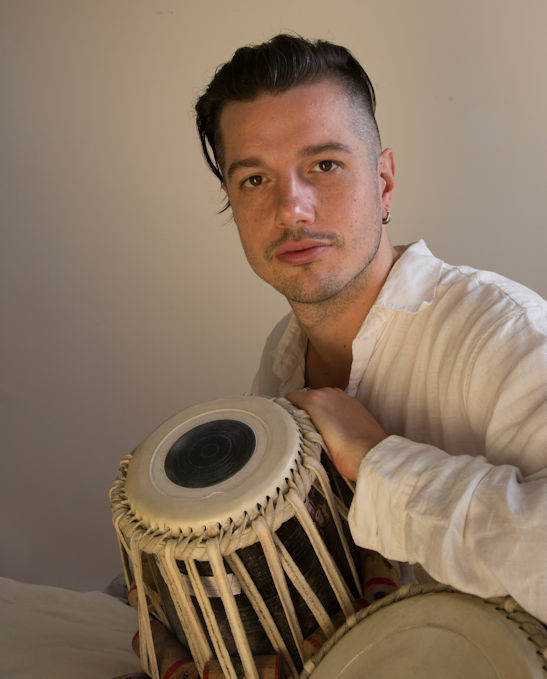 He has worked with renowned musicians like Zakir Hussain, Fateh Ali Khan, Hossam Ramzy, Ricky Niles from Barbados (West Indies), Jukka Tolonen from Finland, the Rondo Vienna Orchestra from Austria. He performed with Jan Garbarek for the King of Norway. Kamal has recorded his genre of music for famous Bands like Massive Attack, One Giant Leap, also for Hollywood and Bollywood films. This multifaceted musician is also a composer, who has delivered powerfully ambient scores for documentary films, such as The Big Question featuring Mel Gibson and Monica Bellucci, Bollywood Boulevard, Mystics of Sufism for BBC, and Red Cross, Mother Teresa. 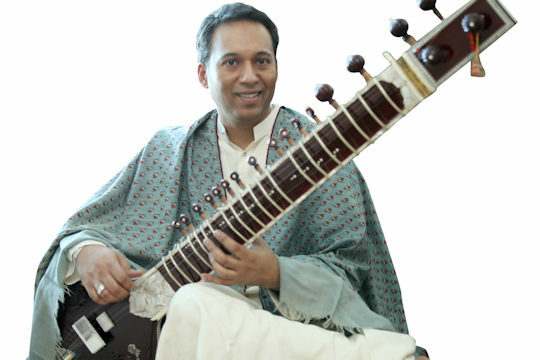 Kamal has also composed music for several albums and orchestras like Dance of the Desert, the Sabri Ensemble, Sarangi Funk, Ellam Anggekkai (South Indian Album), Tera Naam, the Indian Contemporary Music Orchestra, and the Vienna Chamber Orchestra, to name a few. Kamal continues to explore the vast realm of the music world yet retaining the purity of the Indian Classical Music thorough the strains of his Sarangi. 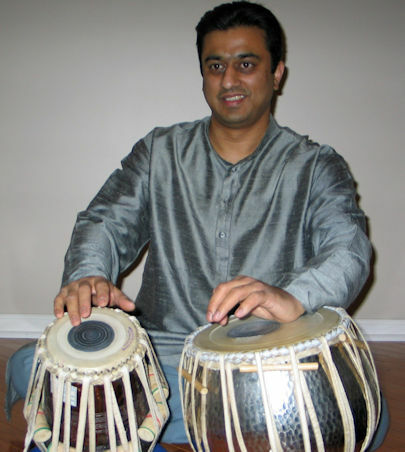 Atish Mukhopadhyay is a highly talented sarode player and Musician with extensive experience in entertaining live audiences and teaching. 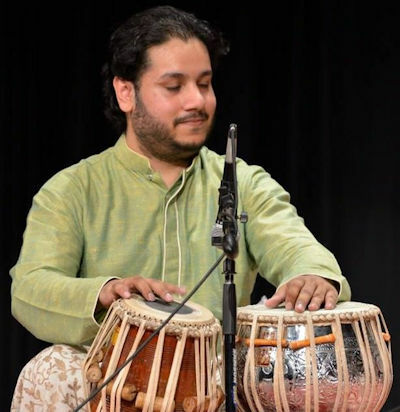 He has been studying with the affectionate guidance of his guru Ustad Aashish Khan Sahab since 1991 and also studied with the late Mrs. Aameena Perera who was the daugher of Ustad Ali Akbar Khan Sahab. He is now considered to be a direct representative of the Maihar Senia Gharana of Baba Allauddin Khan of North Indian Classical Instrumental Music and is one of the leading torch bearers of this tradition in his generation. Atish has performed around the world at many concerts and conferences. 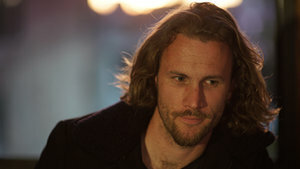 He also is a talented composer, having developed the music for several albums. 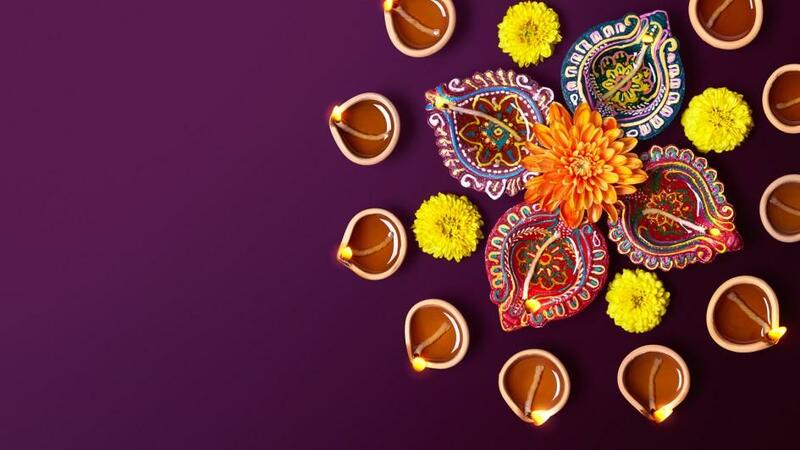 He is also involved with several World Music projects As a teacher, he has participated in many workshops and demonstrations and taught students in India, the U.S.A., and Russia. He is an empanelled music teacher for both Instrumental and Vocal music at the Indian Council for Cultural Relations (ICCR) of the Ministry of External Affairs of the Government of India. He is currently on tour on behalf of the Government of India. Tejas Tope has been learning tabla from his Guru Pt. Samir Chatterjee since the age of five. 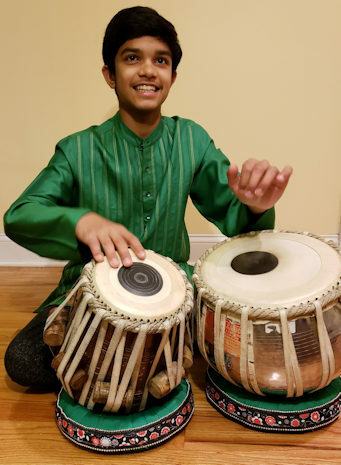 At the ages of 7 and 12, with the blessings of his Guru, he participated in three tabla ensembles at the 5th and 10th and 16th Annual All Night Concerts held in New York City, organized by Chhandayan (www.tabla.org). He has also accompanied Samarth Nagarkar at Chhandayan All-night concert. Tejas received First prize in the instrumental category in 2005, 2006, 2007, 2008, 2009, 2010, and 2011 at the annual Vedic Heritage’s Holi Youth Talent Competition held in Hempstead, Long Island, NY. 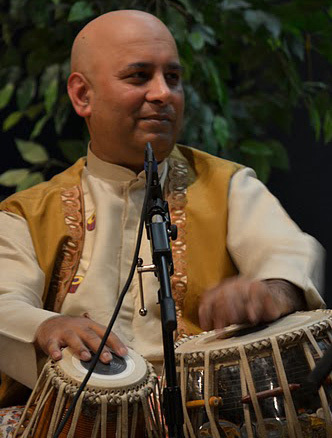 In the summer of 2006, he played at the 6th Marathi European Sammelan in Almelo, Netherlands, at the 13th BMM Convention in Seattle (June 2007), and 15th BMM Convention in Chicago (July 2011). In October 2007, Tejas had his Rangamanch Pravesh and presented tabla solo as a part of Chhandayan Concert Series. Tejas received first prize in the Swardhara Competition held by Marathi Vishwain 2010. 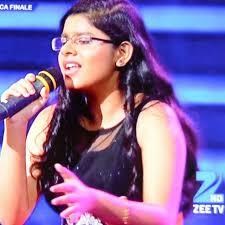 Tejas received Chhandayan’s prestigious Jyotsna Award in the student category in 2011. At the age of 11, he recorded his compositions in a CD album entitled ‘Guru-Arpita – A Dedication to Pt. Samir Chatterjee’ as a token of his affection, respect, and gratitude to his Guru. The CD album contains fifty-six compositions presented in structured tabla solo format in six taals. A booklet of his compositions accompanies the CD album. Tejas has been performing across the U.S. and India for the past several years. 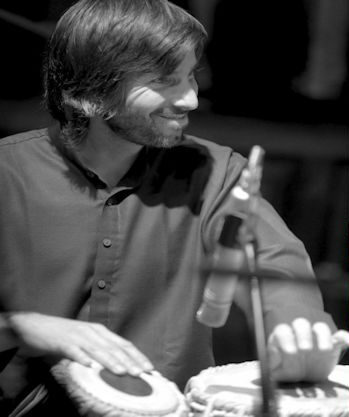 In addition to playing tabla solo in various venues in USA and abroad, Tejas has accompanied Pta. 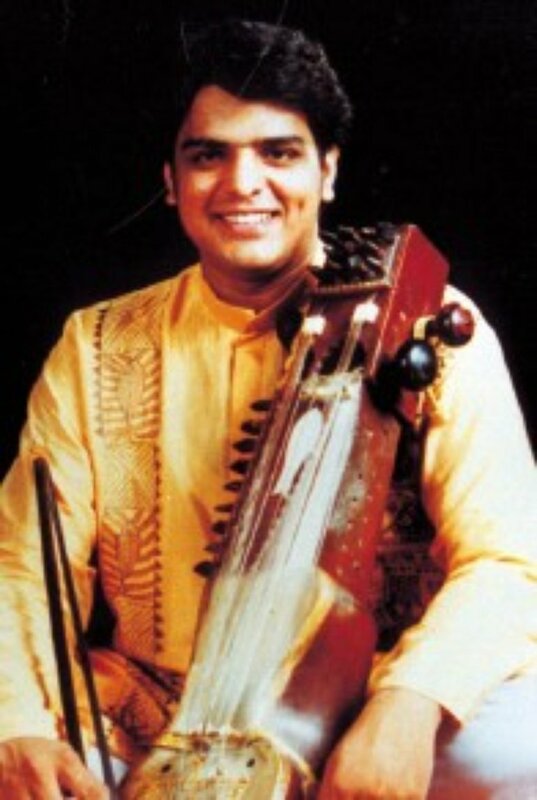 Mita Nag (sitar), Pt. Steve Gorn (flute), Kunal Gunjal (santoor), Kedar Naphade (harmonium), Samarth Nagarkar (vocal), Pta. Lalita Dantale-Kurulkar (vocal) over the past several years. His recently toured India, where he was featured as a soloist and accompanist and won appreciation from all. He is a Junior at NYU Stern, studying Finance.